Thank you to all who requested this cupcake recipe. It is fast becoming (another) one of my favourites. The perfect summer dessert. A light and tangy lemon cupcake filled with a generous dollop of lemon curd, topped with the most delicious meringue frosting. It is not as sweet as other cupcakes, with the meringue cloud frosting providing a lighter alternative to buttercream. Let me take you through this recipe step by step, with the easy to print version giving the recipe details. After baking the basic lemon cupcakes, let them cool on a wire rack for at least half an hour. You may want to put them in the fridge once cooled, as it makes it easier to cut the hole in them after they are chilled. Once cooled, using a sharp pointed (steak) knife, cut a round cone shaped hole in the top of each cupcake. Fill each one with a teaspoon of lemon curd. You can make your own or buy a good quality one. I use Yackandandah. Trim the cone part off each top piece of cake so the lid fits neatly back onto the cupcake. A word about the meringue cloud frosting. Not all meringue frosting is created equal, but this recipe is an easy, failsafe one that will impress any cupcake connoisseur. Don’t be daunted by the process of boiling the sugar and using a kitchen thermometer, although it is best if you can buy one. The recipe comes from the amazing Manuela of Passion4baking. Her blog is incredible and her divine retro pastel studio kitchen is out of this world! Check it out. By the way, don’t you adore my hot pink Kitchen Aid!!? To get the same swirl effect that I used on these cupcakes, use an Ateco 827 icing tip. You may find one in Spotlight, or can purchase a similar one in Australia from Baking Pleasures. For those of you who may be interested in making these simple sugar daisy flowers, the plunger cutters are available online here in Australia. I have also seen them in HOUSE, so check there first. They are made by rolling gumpaste, which is available from Spotlight, quite thinly, and punching out the daisy shape with the cutter. Using a tiny amount of Americolor Lemon Yellow gel paste (also available from Spotlight), colour a small bit of gumpaste and roll into a ball for the centre of the daisy. I used a daisy centre mould, available online, but it isn’t necessary. 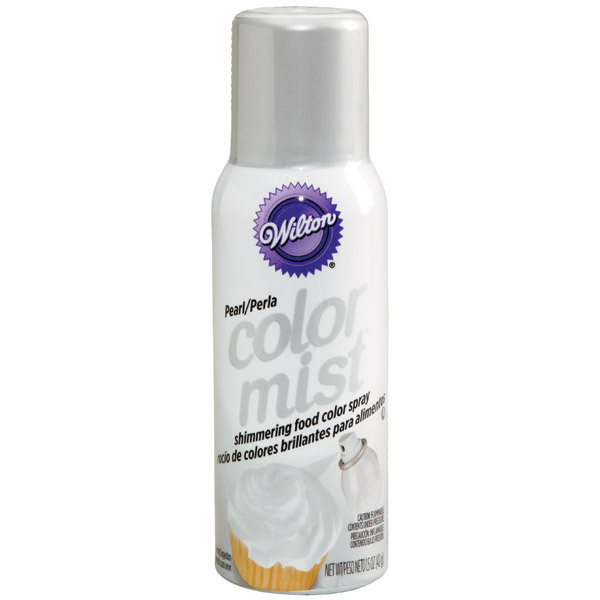 For an extra sheen, spray a light coating of Pearl colour mist, (gotta love Spotlight), onto your flowers and leave to harden before sitting them gently onto your cupcake. In a medium bowl, hand whisk eggs, vanilla and oil. Add sour cream and water. Whisk until well combined. In a separate bowl, sift together flour, bi carb soda and baking powder. Put sugar into yet another small bowl and using your fingers, rub in lemon zest until fragrant and slightly coloured. Whisk sugar into the rest of the dry ingredients. Carefully pour the wet mix into the dry ingredients. Whisk until well combined. Spoon mixture into prepared cupcake liners and bake in a moderate oven for 18 - 20 minutes or until firm to touch and slightly brown. Cool on a wire rack, then refrigerate for at least half an hour. Using a small serrated knife, cut a cone shape out of the top of each cupcake. Put 1 teaspoon of lemon curd into each hole. Slice the cone part off each top and replace the lid to each cupcake. Frost with Meringue Cloud frosting. Put egg white and lemon juice into the bowl of an electric mixer with a whisk attachment. Combine the sugar, water and vanilla into a saucepan and stir quickly until well combined. Heat on medium until the temperature reaches 120C (248F) You will need a sugar thermometer to check the temperature. When the temperature reaches 120C start whisking the egg whites in the mixer until frothy. Slowly add the sugar syrup, a little at a time. Continue whisking for until 5 minutes until the frosting is fluffy and looks like meringue. Put frosting in a piping bag and using a large open star tip, pipe meringue onto cupcakes.